Nominations for the 2018 Research Staff Awards are now closed. Award winners will be announced in Spring 2019. The School of Medicine Research Staff Awards are given each year to honor exemplary staff members across the research enterprise including Research Assistants, Senior Research Specialists, Research Nurses, Core Facility Managers, Core Research Assistants, and Research Support Staff. Their contributions to research are unmatched and invaluable to the science conducted at Vanderbilt. Candidates are nominated by faculty members with whom they work most closely. 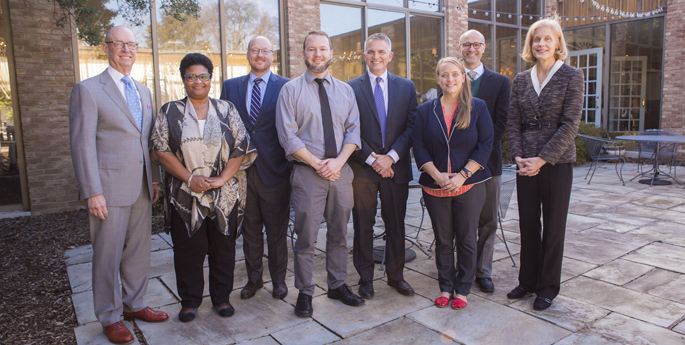 Awardees are selected by the VU-VUMC joint faculty review committee. An awards luncheon in honor of the winners is held each year in the spring semester. Eligible staff include: Research Assistants I, II, & III; Senior Research Specialists; Research Nurses, Research Support Staff, or any staff member who provides exemplary research support. Faculty members, research fellows, postdoctoral fellows, and graduate students are not eligible. If you have any questions, please contact Anna Haase at anna-sofia.haase@vumc.org or 615-875-7529. Excellence in Research Contributing to Multi-Investigator Teams Award C. Anthony DeMatteo, Jr.